“Royal Passport”, SABON’s customer club, was founded with the purpose of providing our loyal buyers various advantages and benefits. You can join the club by purchasing Royal Passport card. This is a card with a bar code that gives you instant access to all benefits of the club. I have a card, how do I sign in? In maximum 72 hours from the moment you enter into possession of the loyalty card you receive an email with a username and password, with which you can login on our site at any time in order to benefit from all advantages granted under the card you own. If you have not received the e-mail with your login data or if you do not know it, the Username is identical to your e-mail address, and the password is the code on the back of your fidelity card (under the bar code, starting with 9). If you already had an account on our website, the Royal Passport card is associated with it, only replacing the Username with your e-mail addres, whereas the password will be the code on the back of your fidelity card (under the bar code, starting with 9). If you do not manage to login as a Royal Passport member, please contact us to check and solve any errors. We choose a special product on a monthly basis, which we offer you with a minimum 20% discount. 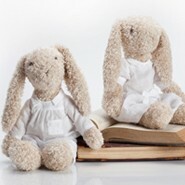 We celebrate your anniversary through a special gift, available for 30 days since your birthday. Royal Passport days - exclusive ULTRA discounts days, a couple of times annualy! A card with benefits easy to use in stores and online. You are the first to exclusively try new products and services. You are the first to learn about our promotions and surprises. Customer care at your service for any question. We are always looking for solutions to offer Royal Passport members as many advantages and surprises. ¹ If it is not specified otherwise, it is non-cumulative with other offers, benefits, vouchers or discounts. ² The extra disocunts for Royal Passport members are explicitly mentioned for special offers they apply to. Where can I get the Royal Passport Card? Royal Passport can be obtained from any SABON store, by filling in a simple form and paying a fee of 20 Lei for the membership card. You’ll immediately enjoy the 10% discount in all SABON stores and all other membership benefits. You can purchase online the loyalty card by adding it to the shopping cart, as any SABON product. From that moment you already benefit for that order (the one that includes the card) from all the advantages of the Royal Passport members , all discounts are automatically calculated and displayed in the order form . 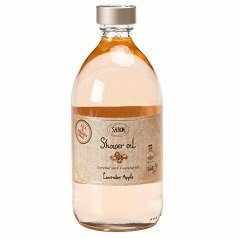 In maximum 72 hours, your account on www.sabon.ro will be activated, so you can also shop online your favourite SABON products for promotional prices. The “Royal Passport” card is owned by S.C. SABON HOLDINGS SRL (S.R.L.). The SABON fidelity card can be given to any person who is a Romanian citizen and over 18 years old. The SABON fidelity card can be obtained in SABON stores, after filling in the subscription form. In order to receive the card, the owner must entirely fill in and sign the subscription form. Incomplete forms or forms containing illegible or wrong information will be invalidated. The applicant receives the card immediately after paying the amount of 20 RON representing the price for the card, and after filling in the special form. Card possession is not conditioned by the purchasing of one or more products from the SABON stores. Only one card is granted for each applicant. After signing the form, the applicant has the benefit of 10% discount, offered through this program. Besides the 10% discount, the SABON „Royal Passport” card allows access to SABON card holders exclusive stores promotions. 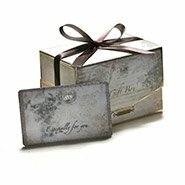 When shopping in the SABON stores, the card holder must present the card to the cashier, in order to take advantage of the offers. The barcode and the client code automatically allow the 10% discount and other advantages offered to our faithful customers. Card holders who haven’t the card with them when shopping cannot take advantage of the above mentioned advantages. If the card is damaged, you can replace it in the SABON stores. In case of loss or theft, you must pay a fee for issuing a new card. The counterfeiting of this card is punished according to the laws in force. As issuer, S.C. SABON HOLDINGS S.R.L has the right to discontinue at any time the validity of the SABON “Royal Passport” card. This can be done only after a prior notice of at least 15 business days, which will be published in a visible spot, accessible to all the clients, in all locations. According to Law no. 677/2001 regarding the processing and free circulation of personal data, S.C. SABON HOLDINGS S.R.L. is authorized with no. 12082/2009 and 12116/2009, and the filling in and signing of the form means the complete approval regarding the processing of data for marketing purposes, throughout the entire membership period, within the “Royal Passport” program, as well as after the program ends. The participant has the right to access the data, the right of interference and opposition regarding the personal data; these rights can be professed according to the instructions in the art. 13, 14, 15 of Law 677/2001. Therefore, anyone can profess the above mentioned rights if submitting a request to SC SABON HOLDINGS S.R.L., at the Bucharest, 256 Basarabia Bvd., Republica, gate 4, Sector 3 headquarters, in written, dated and signed, in which there must be mentioned the identification data of the person, including the correspondence address, and the information upon which the interference is made, the justified reason and the method of interference. Also, the person whose information is processed has the right to ask, without justification, free of charge, in written, through recommended letter with receipt on receive, dated and signed, that the personal information shall not be processed by SC SABON HOLDINGS SRL for direct marketing purposes. Within 15 days upon request according to the above mentioned regulations, S.C. SABON HOLDINGS S.R.L. will notify in written regarding the requested information and, if the case, the measures taken. S.C. SABON HOLDINGS S.R.L. has the right to modify the regulations concerning the „Royal Passport” program, throughout the entire period of the program, without prior notice for the members and without their agreement, on condition that the modifications do not refer to the personal information of faithful customers. By participating in this program, members agree to conform to the terms and conditions of these Regulations regarding the “Royal Passport”.